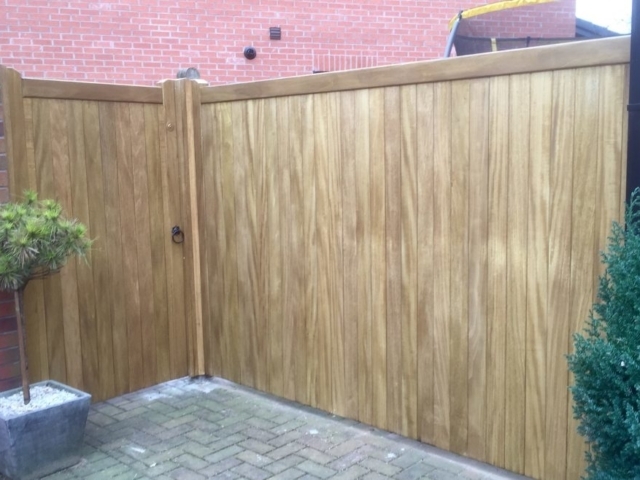 This light coloured high quality and popular softwood timber will keep its looks for many years but must be regularly treated and well maintained to keep its serviceable good looks. 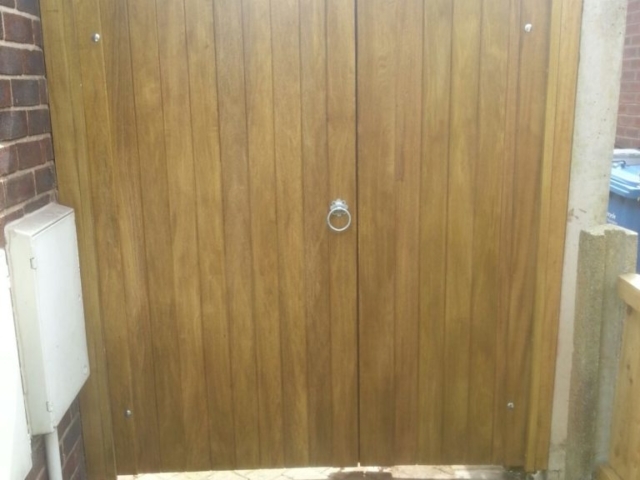 It has tight knots and takes treatments and stains reasonably well. 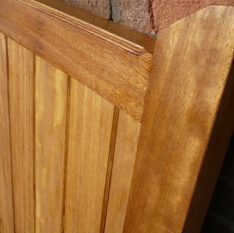 Idigbo is a West African timber often used in joinery. 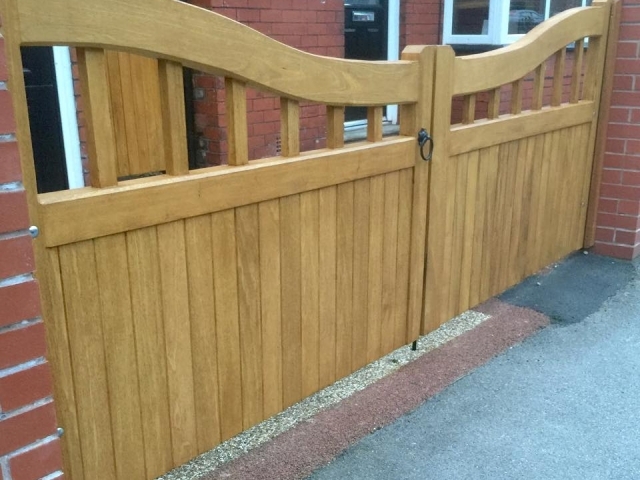 It has a pale natural light oak appearance making it very attractive. 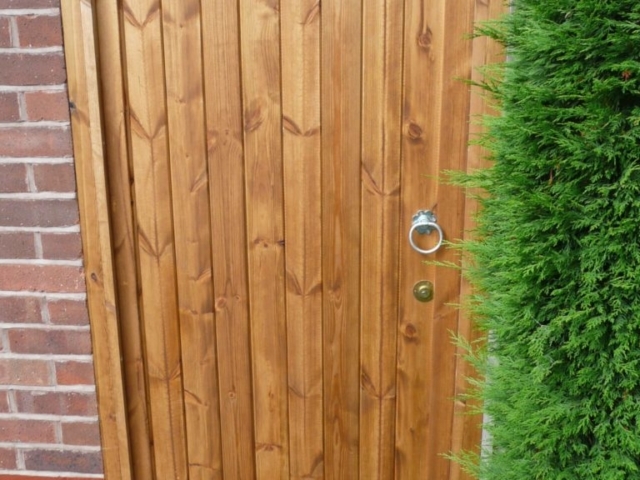 It is a strong timber with natural resistance to moisture. 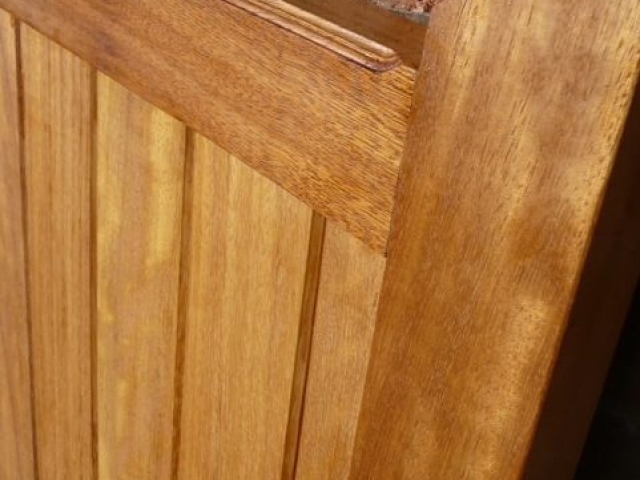 It takes stain very well so can be stained a variety of different shades. 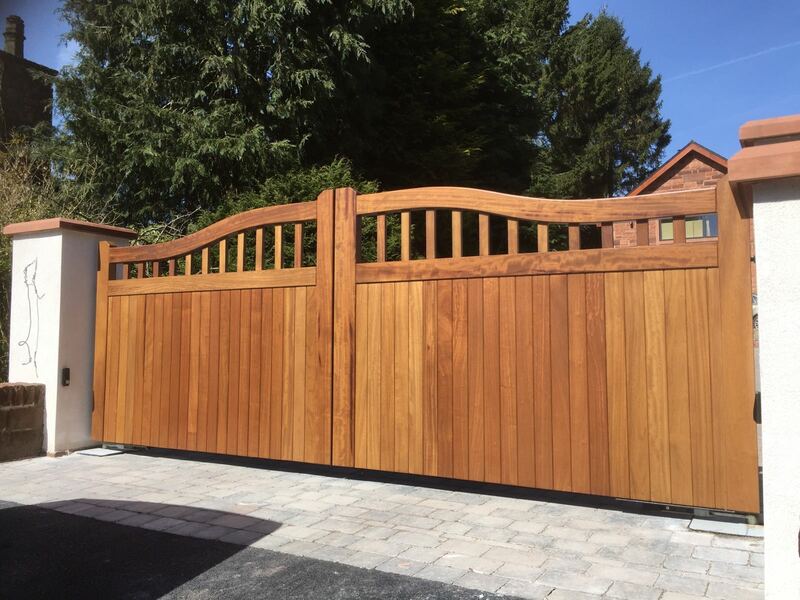 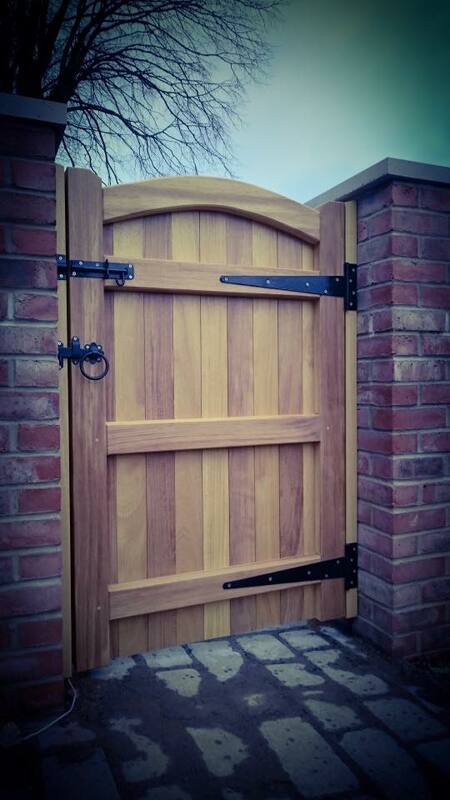 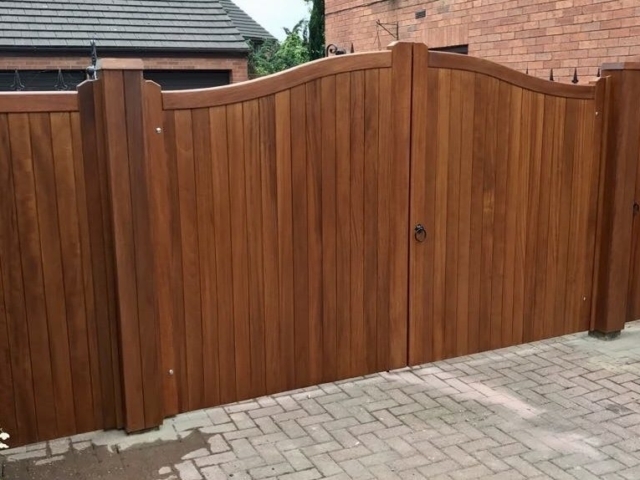 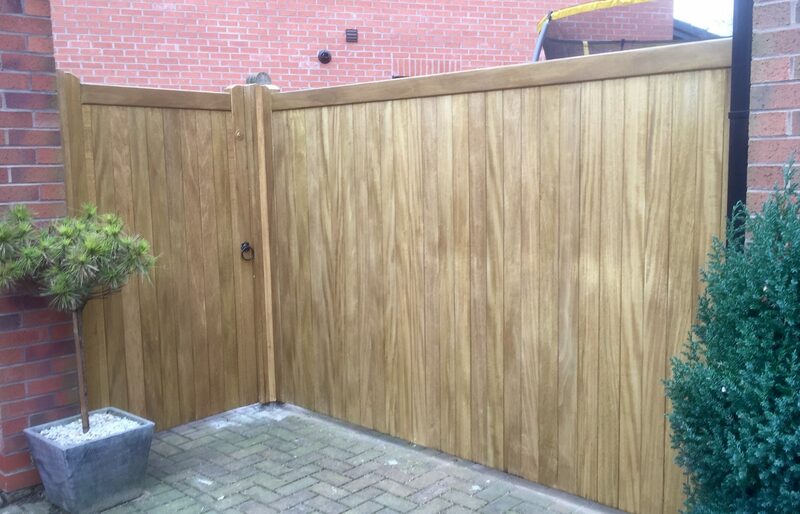 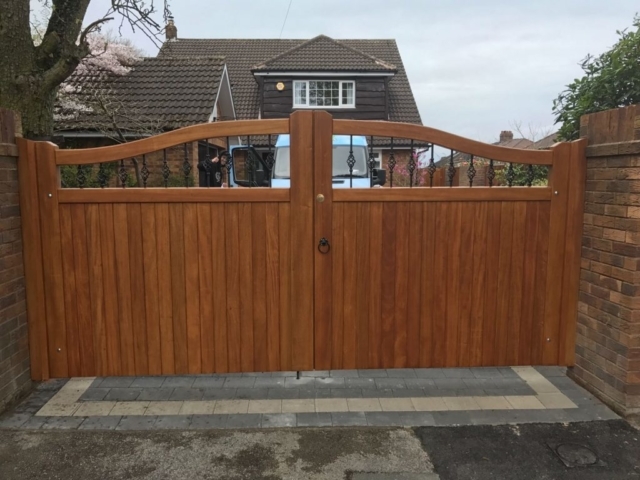 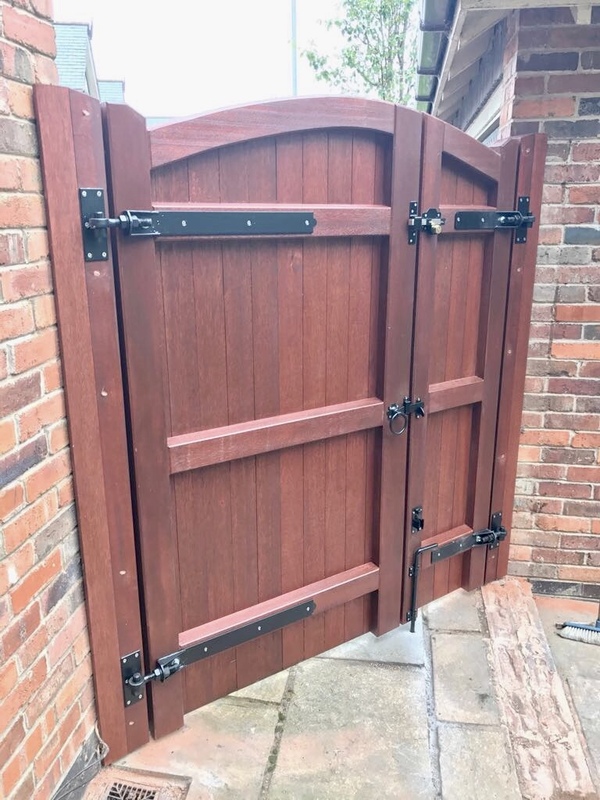 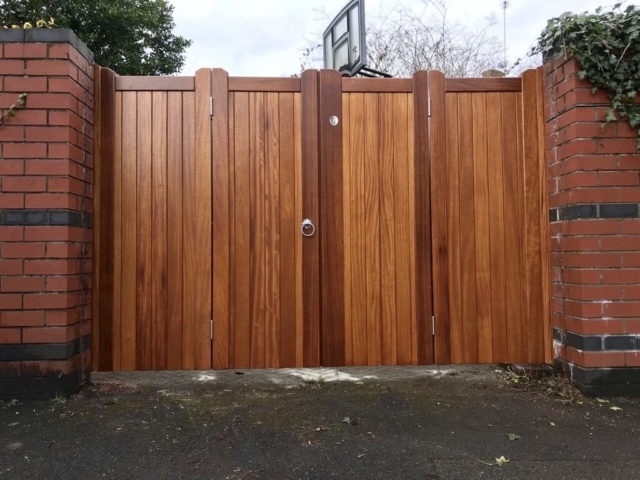 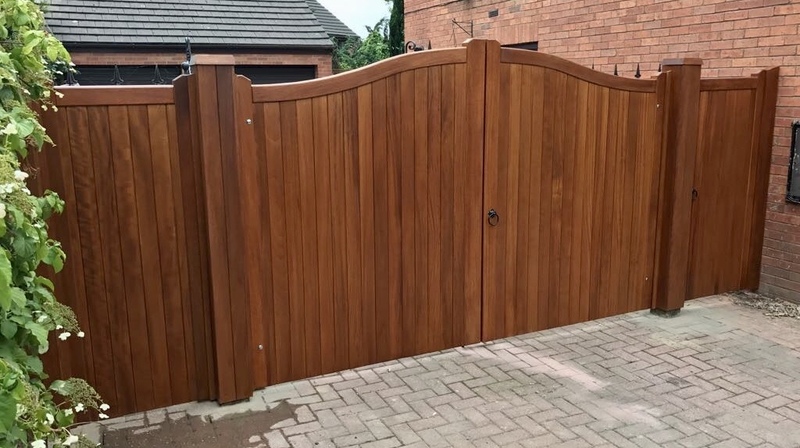 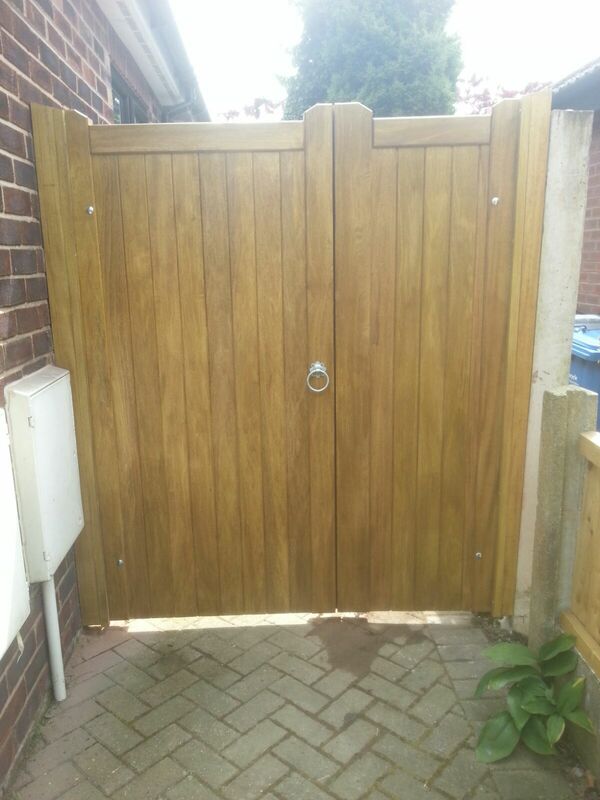 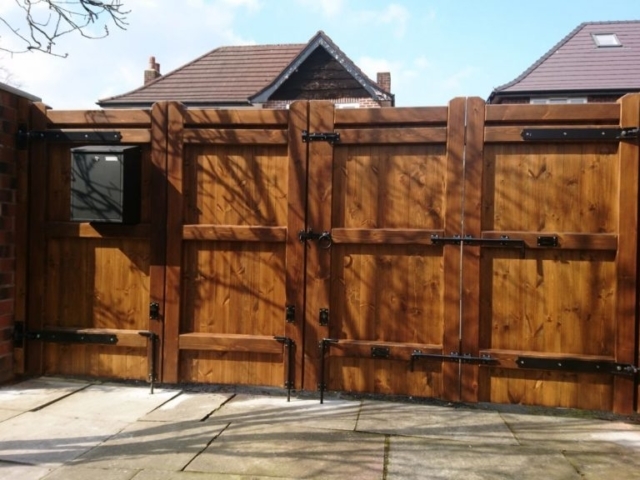 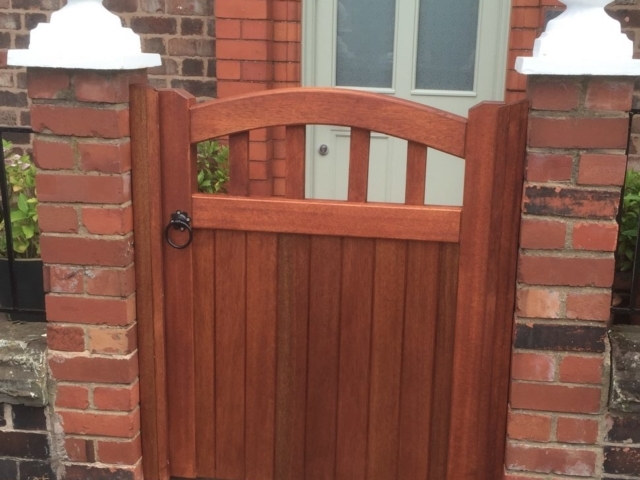 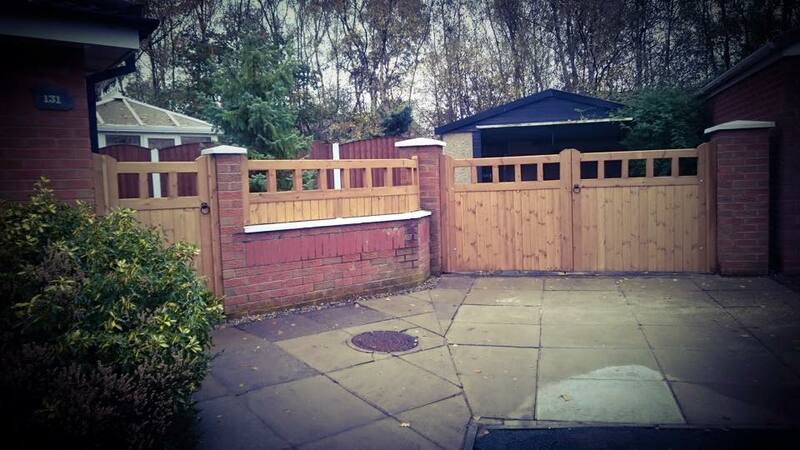 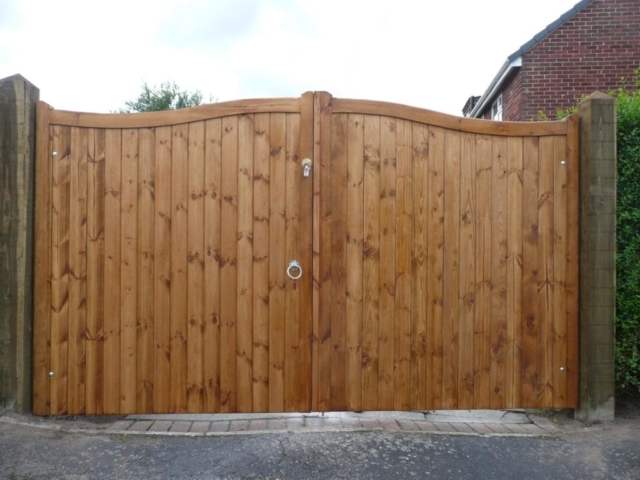 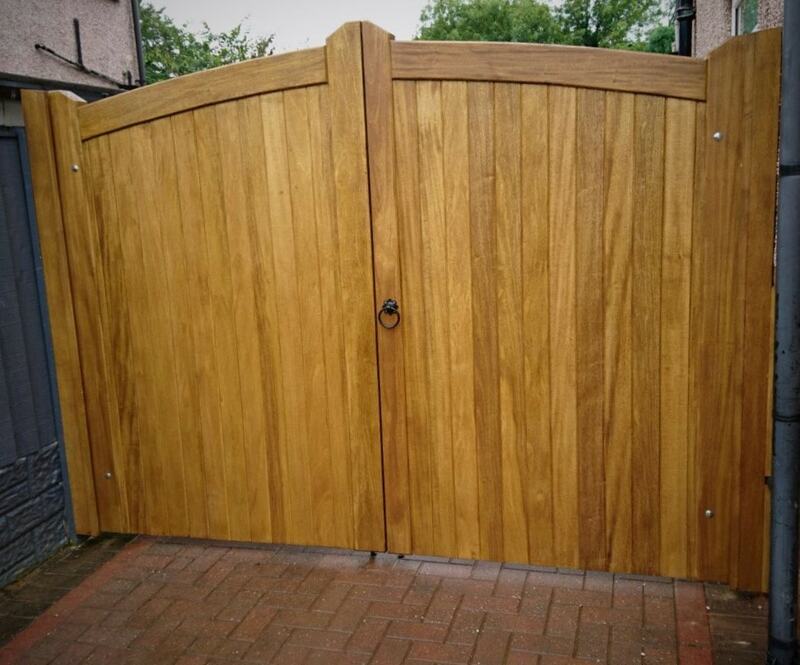 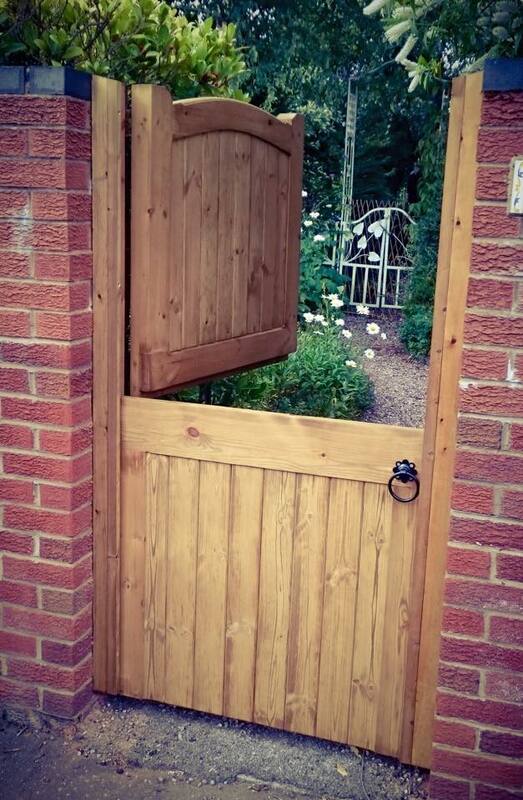 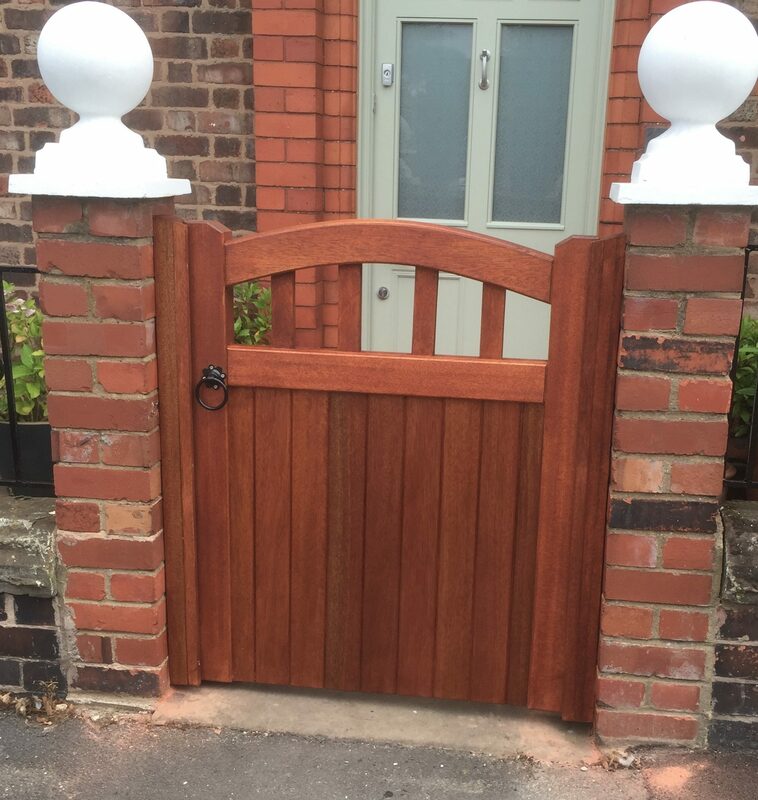 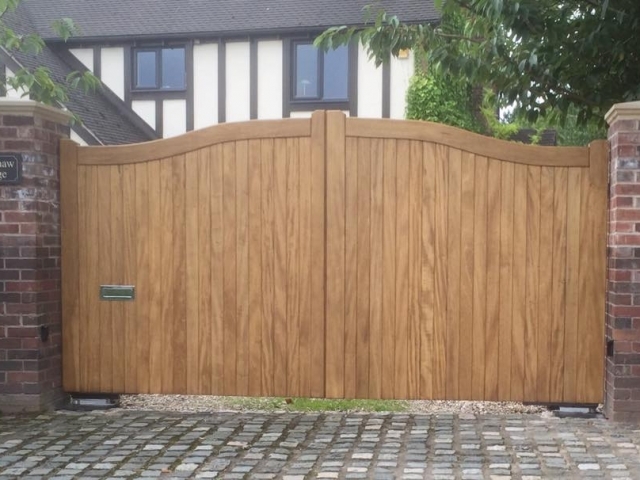 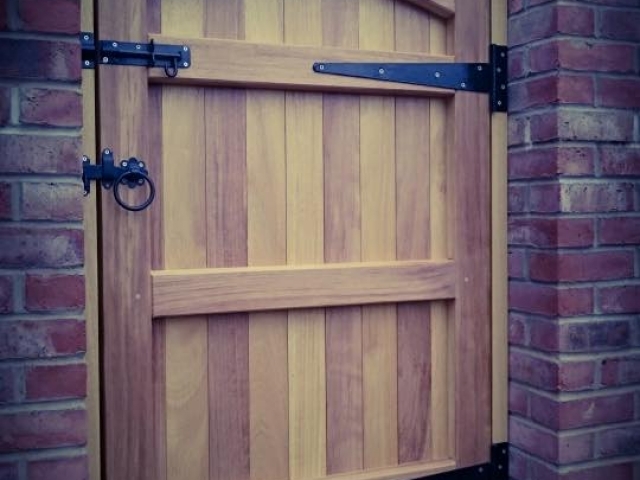 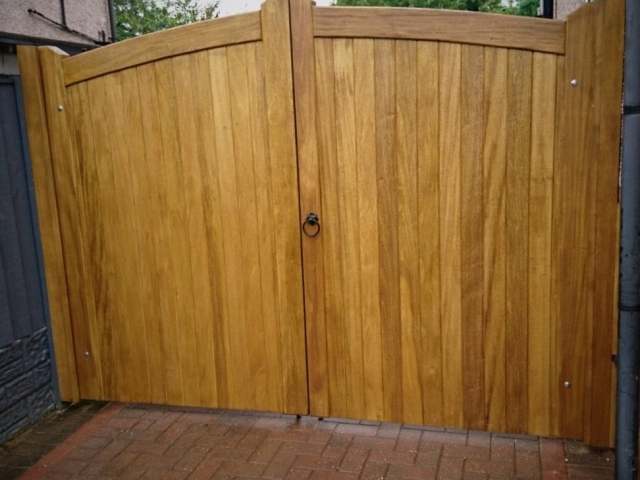 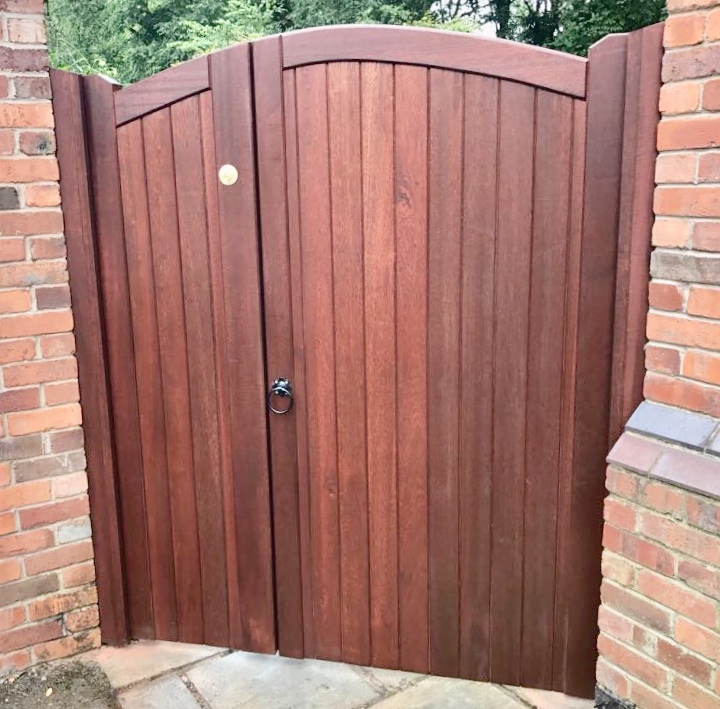 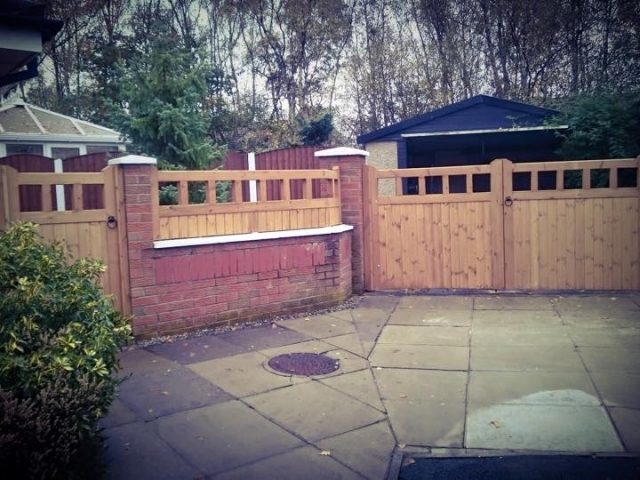 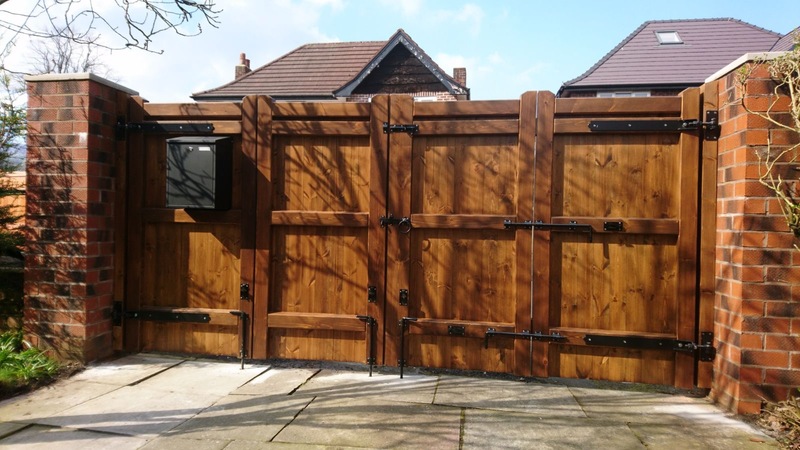 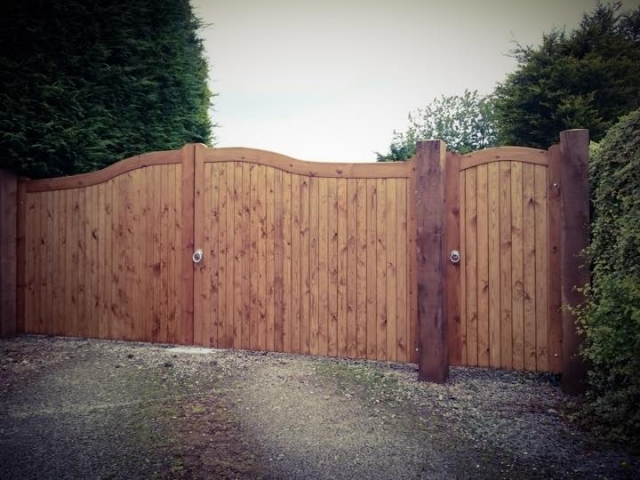 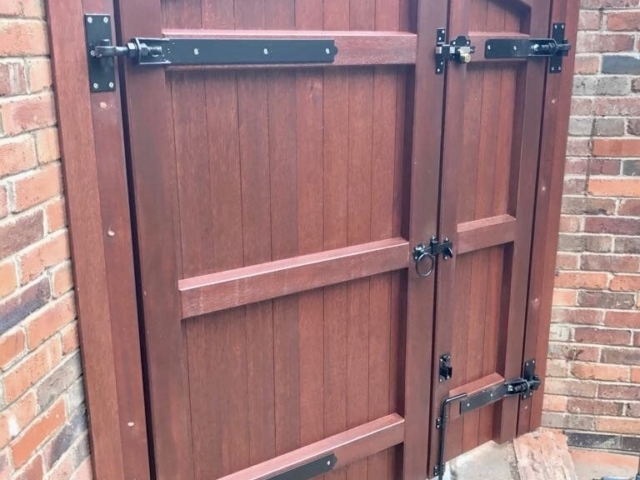 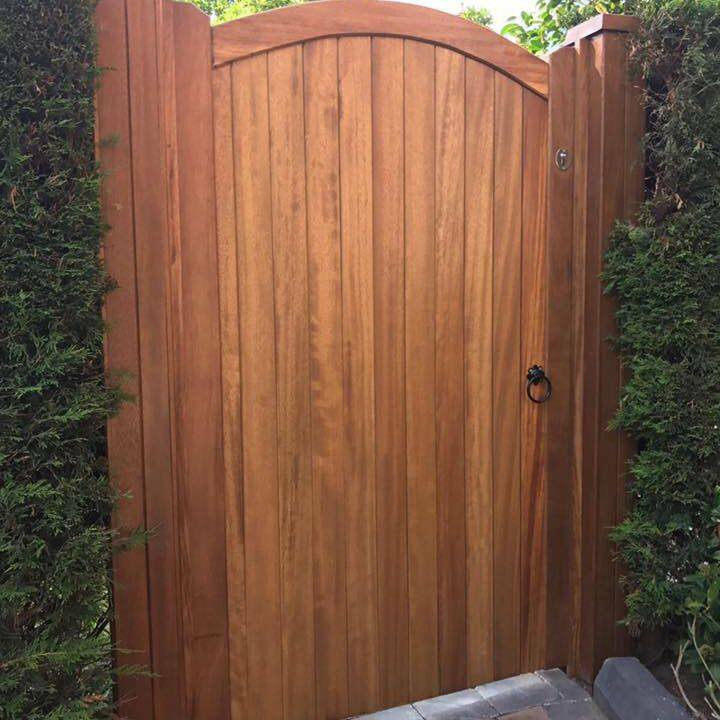 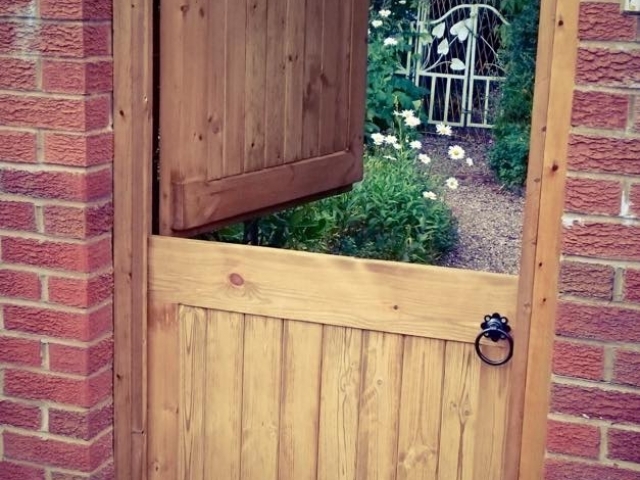 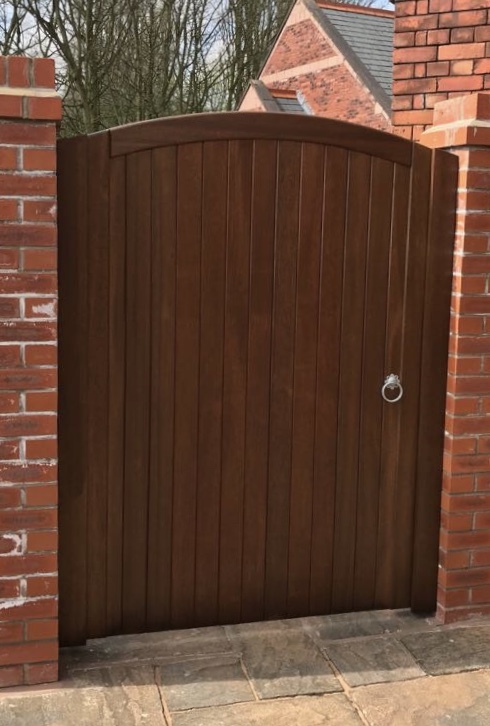 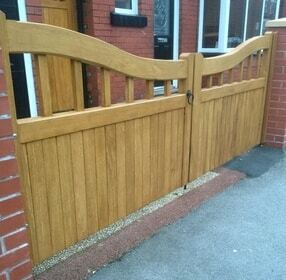 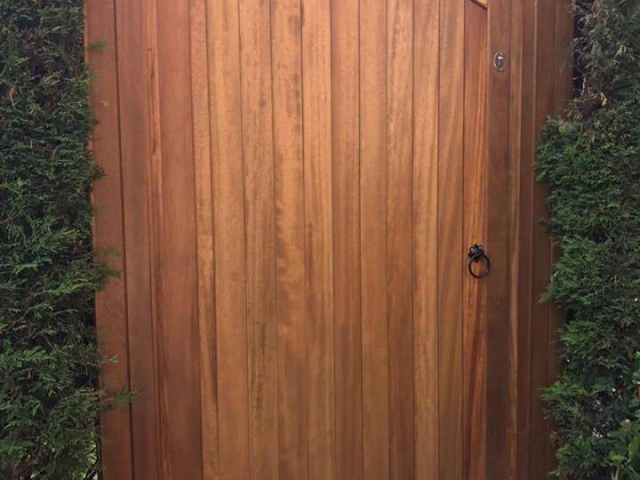 The majority of our hardwood gates are made from the Idigbo hardwood. 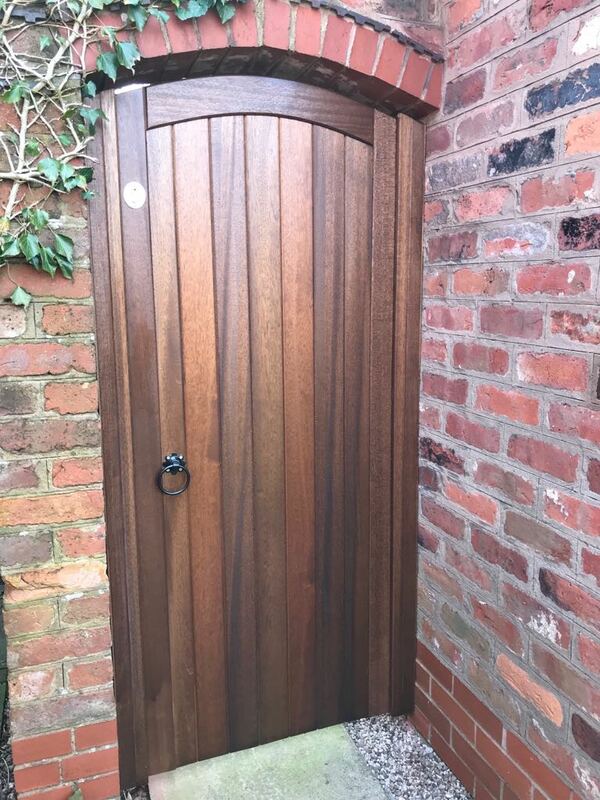 Meranti is a hardwood from the Philippines. 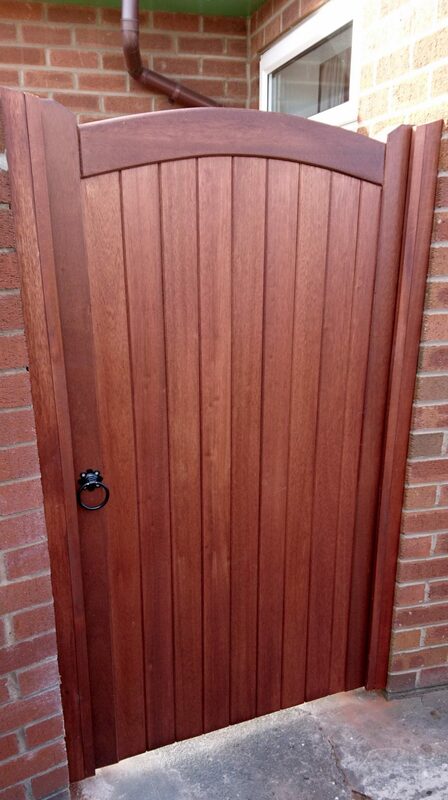 With a pale red appearance, we use it for a teak and mahogany finish. 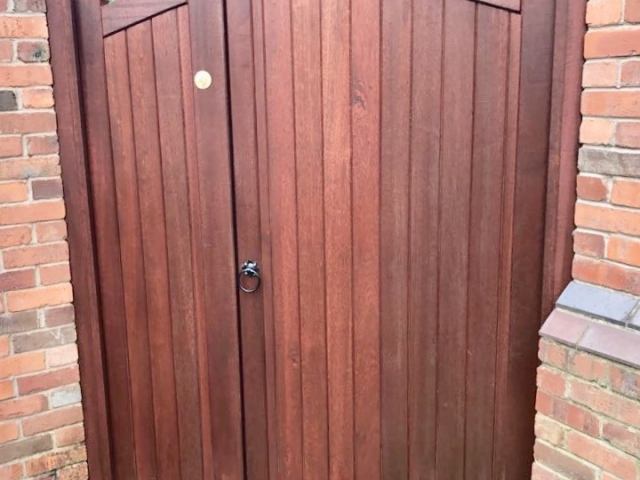 It is a very stable hardwood which will last many years when treated. 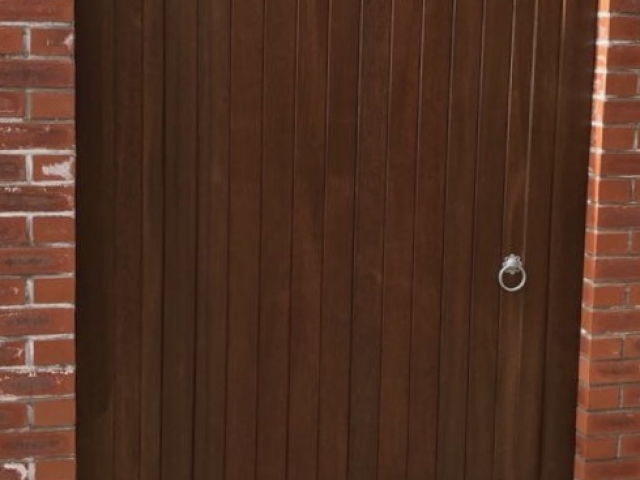 It takes stain very well. 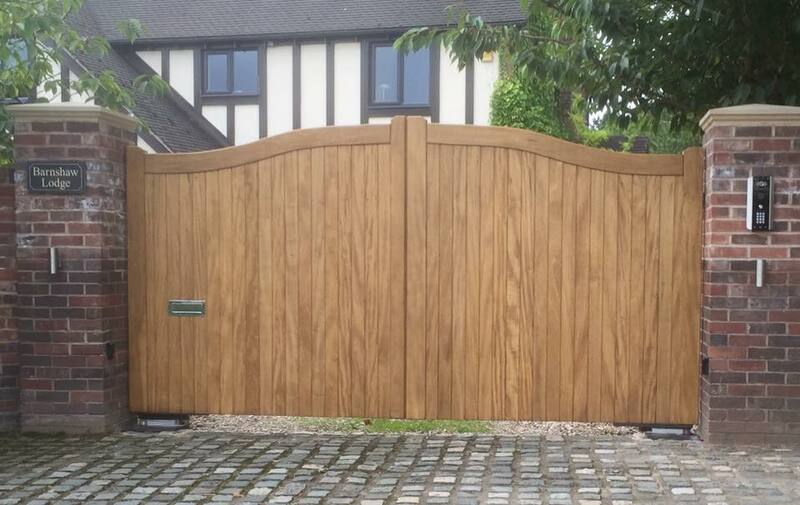 Iroko is also a West African timber often referred to as ‘African Teak’ and has many of the desirable features of oak. 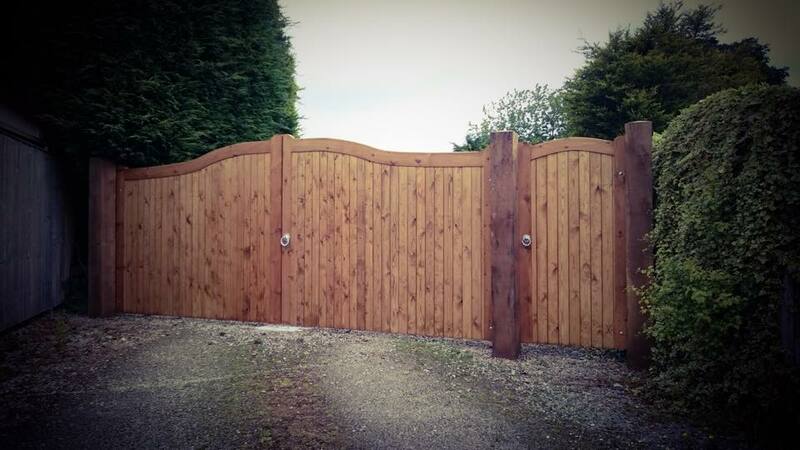 It varies in colour from light brown to dark brown with irregular shading. 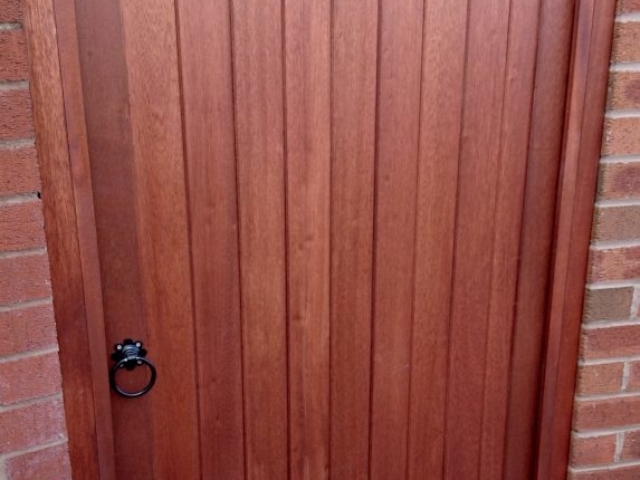 It is a strong and very durable timber that is often used in the boat building industry. 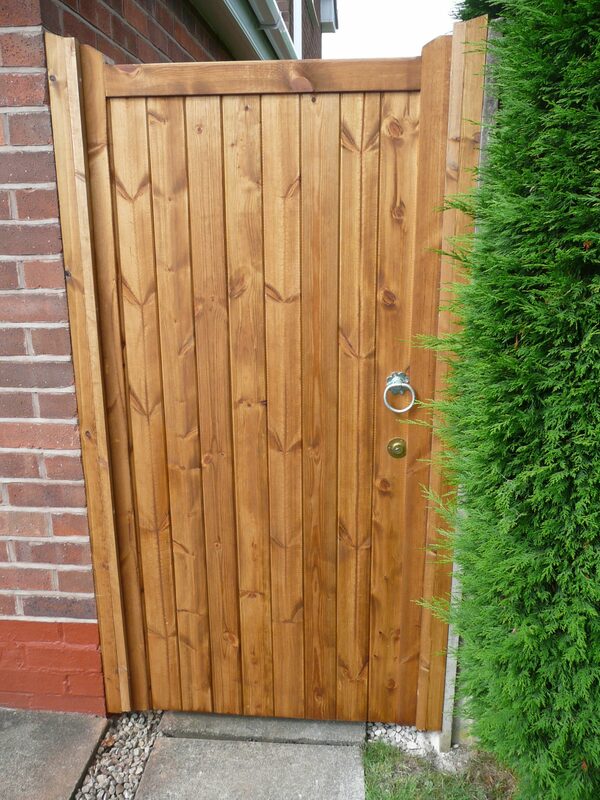 It has natural oils in it and if it is left untreated will turn silver grey over time. 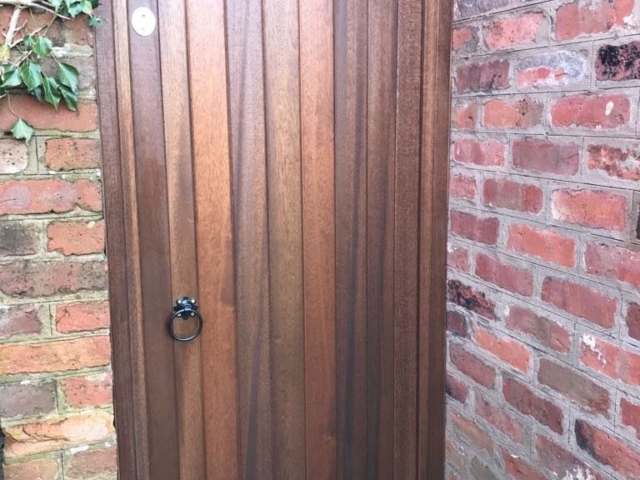 To keep its stained look, it would need regular maintenance.